I crossed my fingers that I was going to get through April with only one law enforcement line of duty death but sadly, such was not the case with the death of two more men over the past several weeks. Corrections Officer Kenneth Duncan, a 17-year veteran of the New York City Department of Corrections, was shot in the face and killed on April 22 while off-duty and in his own driveway. Officer Duncan and a friend were working on his motorcycles when they were approached by two males who drew a firearm and attempted to steal the motorcycles. Officer Duncan drew his off-duty weapon and identified himself as a corrections officer. The suspect opened fire hitting Officer Duncan once in the face who was able to return fire, but was not able to hit the suspects. The wounded officer was transported to Brookdale Hospital in New York City where he died. Officer Duncan, age 40, was a former Marine and is survived by two children. 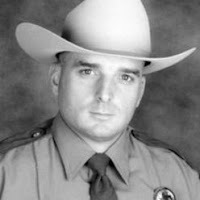 Trooper James Scott Burns of the Texas Highway Patrol was shot and killed on April 29th during the course of a traffic stop in Kellyville, Texas, about 135 miles east of Dallas. Trooper Burns had attempted to pull over the suspect's vehicle when the suspect vehicle took off and led the Trooper on a short high-speed pursuit. Suddenly the suspect stopped the vehicle and then, according to a spokesperson for Texas Department of Public Safety, "The suspect quickly exited the vehicle before our trooper could even do anything, He proceeded to fire rounds into the patrol vehicle, striking and killing our officer." The suspect, a former law enforcement officer who had been previously arrested on drug charges, fled the scene and committed suicide two days later. Trooper Burns had served with the Texas Department of Public Safety for 5 years and is survived by his wife, Michaela, and 5-month-old daughter Micah. In addition to the April losses, May 1st saw the death of yet another law enforcement officer when a traffic accident claimed the life of Deputy Sheriff Robert Griffin of the Decatur County Sheriff's Office in Georgia. Deputy Griffin was responding to the report of a juvenile threatening suicide when his vehicle left the highway and struck a tree on the driver's side of the vehicle killing him at the scene. 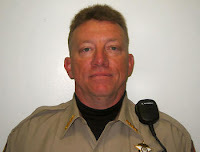 Deputy Griffin was a U.S. Navy veteran and had served with the Decatur County Sheriff's Office for 3 years where he was a member of the Sheriff's Emergency Response Team, SWAT. He is survived by his wife, three children, and his mother. Please take a moment to say a prayer for the family, friends, and colleagues of this brave men. Condolences to the families and thanks to the officers for their service.